Parrot Rolling Spider is an ultra-compact drone controlled by smartphone. 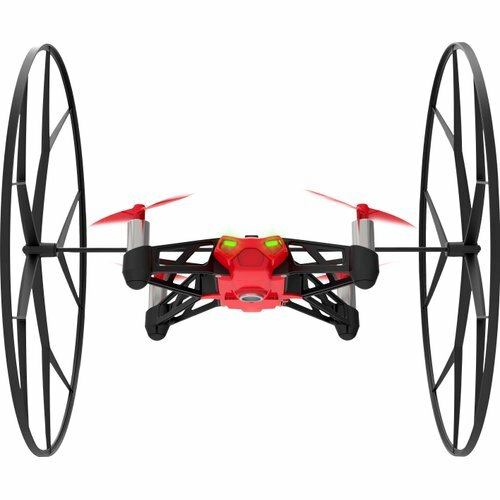 It flies indoors and outdoors with surprising speed and stability. 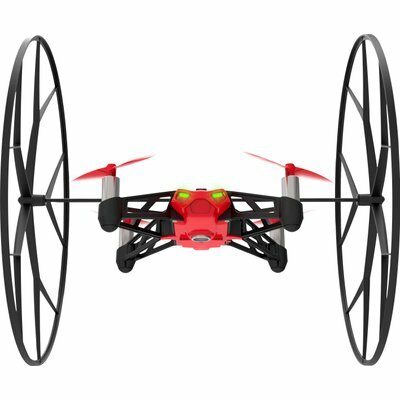 Acrobatic tricks are available from the free app for MiniDrones FreeFlight 3. Ultra-light, Rolling Spider performs half- and u-turns in one swipe. He does ​​front and rear loops in one click. With its removable wheels, it runs from floor to ceiling and walls. Equiped with a propellers cutout in case of a collision, it is designed to fly without harming living-room's luminaire! 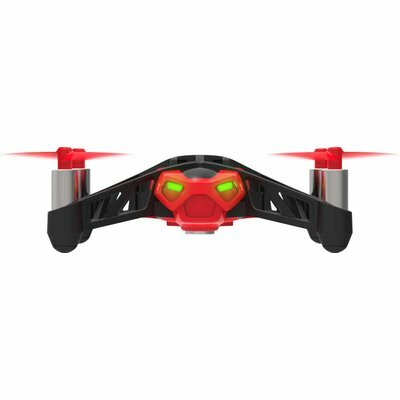 6 times lighter than AR.Drone and the same flight stability thanks to an autopilot based on a 3-axis gyroscope and 3-axis accelerometer. Its vertical camera at 60 fps measures the speed comparing previous image. 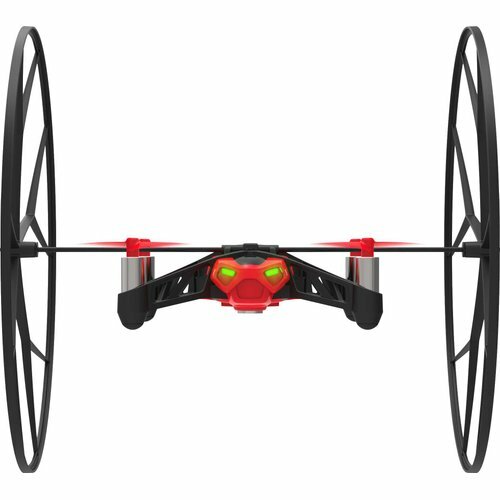 This ultra-sophisticated technology based on sensor data fusion makes Rolling Spider one of the world's most stable drones. It has an exclusive free-fall take-off mode: its engines start when you drop it. Capture aerial views with the vertical mini-camera. Rolling Spider's vertical camera enables you to take photos. You simply hit the ‘photo’ icon on piloting screen to take snapshots. The photos are saved in the Rolling Spider’s memory which contains enough space for several hundred photos. Their resolution is 300,000 px. You recover your photos in FreeFlight 3 app: you transfer them from the Rolling Spider's internal memory to your piloting smartphone or tablet gallery. Watch the photos taken by MiniDrones pilots community. FreeFlight 3 free app offers an intuitive control from your smartphone or tablet. It connects through Bluetooth Smart to your Rolling Spider. It is compatible with devices running iOS and Android. Interface: Bluetooth Smart technology, Bluetooth V4.0 BLE (Bluetooth Low Energy).